Long before graphite or titanium came on the scene, golfers delighted in long hitting and one of the longest and most glorified long hitters of a golf ball in Ireland throughout the 1970s and 1980s was Paddy O’Looney. He wasn’t just a basher either. Paddy played the game with style and grace until arthritis in his hands brought his competitive career to a halt earlier than he would have wished by not reaching seniors status and a certain place on the Irish Seniors team in the early 1990s. As a member of Portmarnock, Castletroy and Tralee, from 1974 to 1986, O’Looney was a stalwart member of the Connacht interprovincial team and figured on the only Connacht side to win the inter-pro championship (in 1983 at Connemara) Prior to that Paddy was a member of a Portmarnock team that won the Irish Junior Cup twice (1964 and 1966). 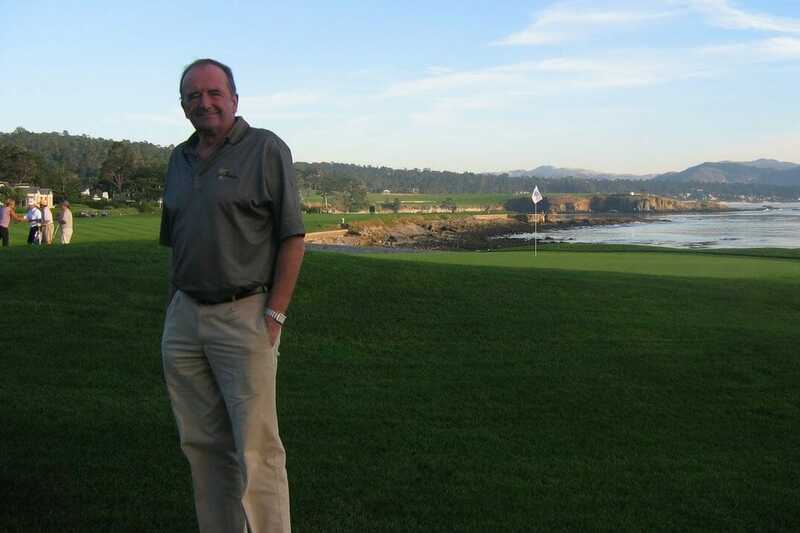 Thirty-two years ago, O’Looney gave up a successful career in hotel management to turn his commitment and passion for golf into his full-time job by moving to Tralee to help Denis Brosnan to form SWING (South West Ireland Golf). Ever since SWING has brought thousands of overseas golfers, principally Americans, to Ireland. O’Looney travelled to practically every State in the USA, Australia and Asia promoting Ireland and specifically Irish golf. The SWING concept of combining the marketing of its Member Clubs under one umbrella and Paddy’s sales patter and non stop yarns were so much admired by Deane Beman and Tim Finchem, successive Commissioners of the USPGA Tour that they each became staunch devotees of Irish golf. In recognition of SWING’s contibution to international golfing relations, Commissioner Finchem invited the adopted Kerryman to attend the President Cup matches (USA versus The Rest of the World) as an honorary observer; a huge honour and one which O’Looney enjoyed to the hilt. Next article'I'm dreaming of a white Christmas' said no golfer ever! In a week of sporting change can golf be the exception?